Although it is widely known that all types of roofing activities must be completed before the onset of fall, you may often end up with situations requiring emergency roof repair in winter. When you wish to undertake shingle roofing tasks in the cold, winter weather, you need to analyze various essential aspects. Many people may wonder what temperature is too cold for roofing and to install shingles. Although there isn’t a definite answer to this question, it is advisable to install asphalt shingles when the temperature is between 4° to 26° Celsius. 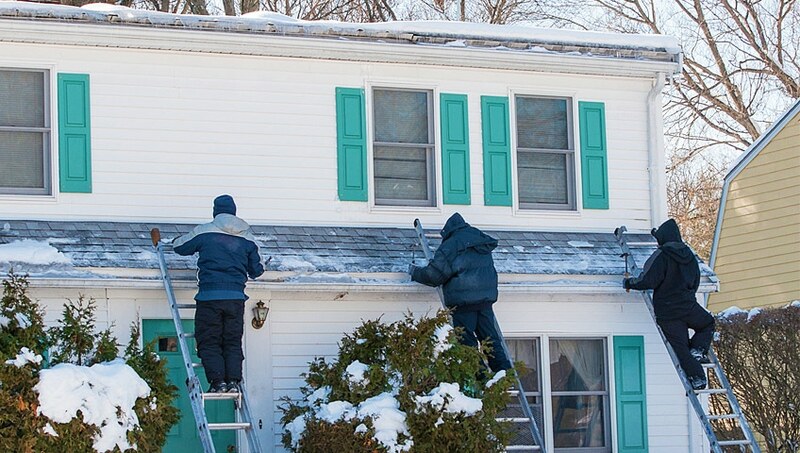 The flexibility or malleability of shingles is limited in winter, making them brittle. As a result, they tend to break easily. In addition to this, cutting them also becomes difficult. Another concern is that they lose their ability to seal properly, allowing dust and debris to get underneath. As long as the shingles seal before high winds occur, you should be fine. It is difficult for roofers to work in winter because it can put a strain on the body and increase the risk of frostbite. Because they may be uncomfortable, it can increase the chances of errors. Also, the roof tends to be unsafe because ice, snow and, frost make it slick and slippery. Roof shingle installation and repair require several tools, materials, and equipment. A few, such as nail guns and compressors, can lose their effectiveness and get jammed due to the cold temperature. Be prepared to use alternative measures to overcome this problem. Adequately plan your work around storms and sunlight hours. Call it a day early if needed to avoid any mishaps in the cold weather. Since you may not get as much work done in a single day as you could in the summers, you must adjust the timelines accordingly. Remember to dress in warm clothes that provide ample coverage and insulation against the wind. 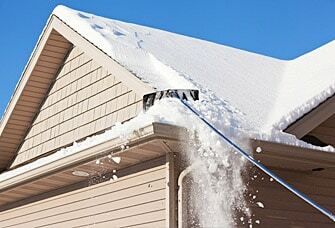 Remove snow from the roof properly before beginning work. Keep your tools and roofing materials warm when they are not in use. Check if the roof is safe before you start working. Since a roof provides the best protection from outside elements, it is crucial that you take the necessary steps to ensure that it is in excellent condition. Although roof shingle repair is difficult in the cold months, you can get the desired result with the right contractor. At Integrity Roofers, we have over 25 years of experience in the field which reflects in our high-quality work. We have a dedicated team of professionals who are well-versed with all kinds of roofing work to provide the best possible solutions to ensure the reliability of your roof. We provide a wide range of roofing services including shingle repair. We also offer emergency roofing repair in Toronto. For more information about our services, you may reach out to our specialists by calling 647-953-9365.